Firefighters are still on the scene of a massive commercial fire in Marine Park, Brooklyn. 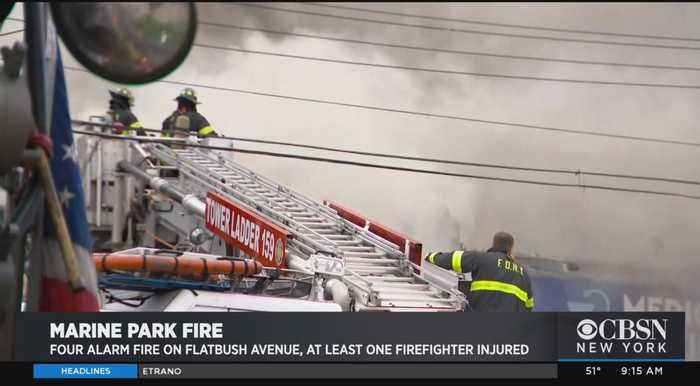 CBSN New York's Tara Jakeway reports from the scene. 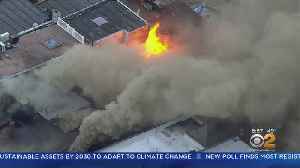 CBS2's Tara Jakeway has the latest on the fire in Marine Park that destroyed two businesses Wednesday. Firefighters are battling a three-alarm blaze at two commercial buildings in Marine Park, Brooklyn. 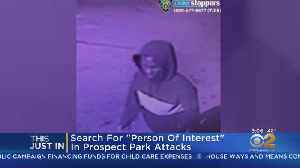 The NYPD is trying to track down a man accused of attacking women inside Brooklyn’s Prospect Park. CBS2's Lisa Rozner reports. 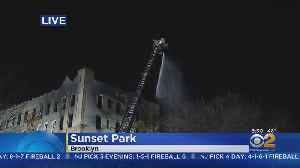 Crews were on the scene for more than 12 hours since a fire started around 5 p.m. Wednesday on 44th Street near Seventh Avenue in Sunset Park. CBS2's Aundrea Cline-Thomas reports. 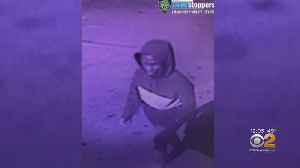 Police have released surveillance video and a sketch of a person of interest in three attacks on women in Brooklyn's Prospect Park. 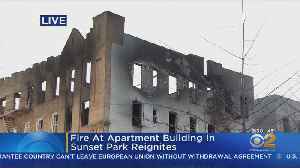 A stubborn, wind-fueled fire flared up early Thursday morning in Brooklyn, hours after it started. CBS2's Aundrea Cline-Thomas has the latest from the scene. 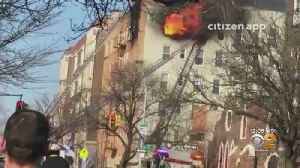 A stubborn, wind-fueled apartment fire continues to flare up in Brooklyn, hours after it started. CBS2's Aundrea Cline-Thomas has the latest from the scene.